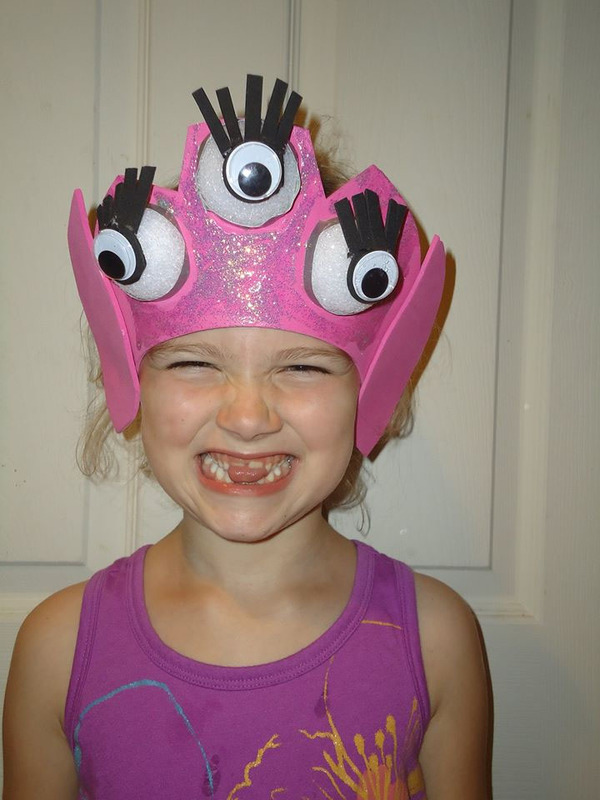 We recently picked up some DIY foam sun visors for some birthday party fun, but we never got a chance to use the supplies. I never get rid of leftover craft supplies, as there is always cause to use it again. So, I used my leftover visor supplies to make the perfect hat for the occasion. 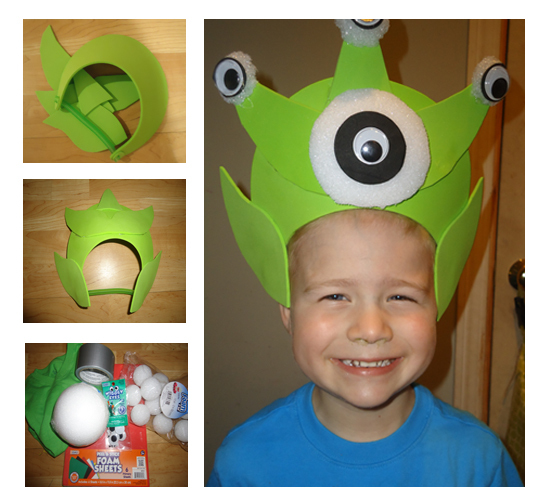 A few foam balls cut in half, googly eyes, a hot glue gun, and a quick Google image search for martian ears were all I needed. The eyelashes are my favorite touch. The girls were so thrilled with the outcome that they, too, wanted their own versions. 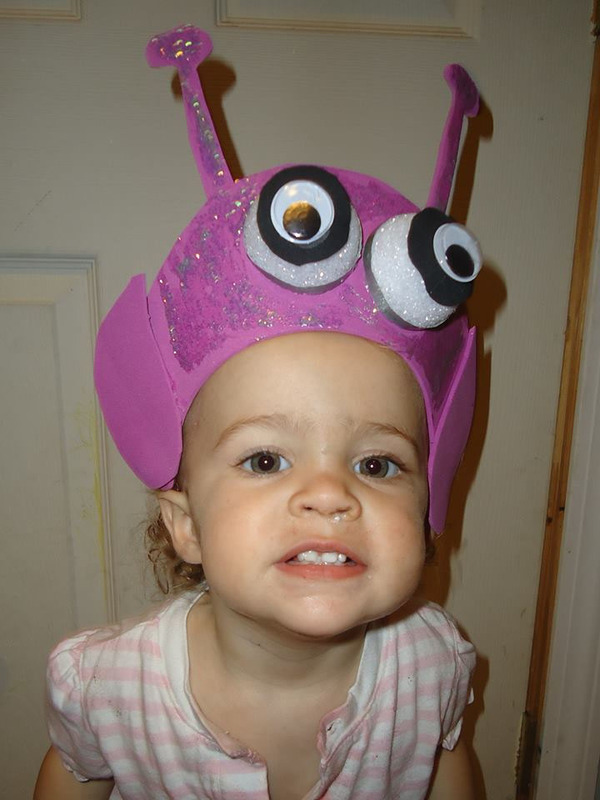 This craft then resulted in building a space craft from couch cushions and an afternoon of imagination. These are awesome! I know my daughter wished I had your talent when she was growing up! What a great craft!! These hats are adorable as well as creative!! My daughter will love this!! Can’t wait to try it out.